See also Achilles v2 Hoplite Armour. “The situation, in short, is this. I have just destroyed your escape module. You are trapped inside here with me. I am Achilles. And you are dead already.” Achilles, Second Ghost Conflict. Unauthenticated record, probable origin: Nomads Black Propaganda. Achilles, the transliteration of Αχιλλεύς orAchileýs, was the greatest Greek hero, the finest of all warriors. Son of the Nereid, Thetis, and of Peleus, king of the Myrmidons of Phthia, in Thessaly, he was trained by a Phoenix and by the centaur Chiron. He took part in the Siege of Troy, in which his involvement was decisive, and was immortalized by Homer as the main character of the Iliad. 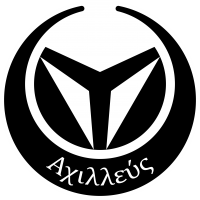 The experimental Project ‘Warrior’ was developed by ALEPH to offer the great powers a biosynthetic combat organism model able to provide the features of a TAG in a human-scale package. Gifted with an immense budget and requiring several years of research, the ‘Warrior’ Project produced the AR-1 prototype. A Lhost biosynthetic body, it contained enhanced artificial musculature, cybernetic micro-engines in all joints and a solidly reinforced skeleton, twice as dense as that of a human, composed of laminated calcium and TitaniumSupra®. All of this was controlled by a dual-control nervous system, accelerated and improved by experimental wetware, and shielded by subtle armored protection for both vital and non vital areas. A perfect body and a superb combat machine in human form. Nevertheless, attempts to download real personality Cubes to it were fruitless. The human brain was incapable of managing all the information supplied by the AR-1 Lhost body. 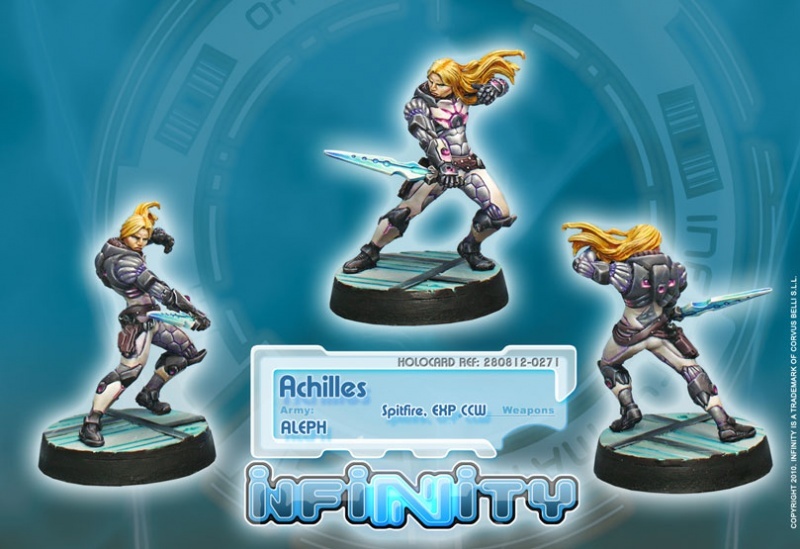 ALEPH solved the problem by creating a new artificial personality, able to control the prototype. To give AR-1 an identity, the greatest warrior in history was needed. And it was Homer who provided it: Achilles, the irascible hero. Achilles has been recreated as how he is imagined to have looked in the Iliad, during the years of his greatest strength. His physical appearance is attractive and impressive: with a strong, heavily built body and defined musculature. Once glance at Achilles is enough to confirm his legendary status. His eyes are sharp and incisive, a curious and changeable bluish-grey. One look, with eyes that accept no reply, can judge, tear apart, and frighten the most brave and hardened men. His mouth remembers the old statues of Assyrian kings: hard, and indicating an implacable will. In an age in which beauty is just a matter of money, Achilles is beauty epitomised, a strong and powerful body balanced in perfect harmony and symmetry, the prototype of physical human perfection. He is an excellent soldier, capable of working out all the variables of any combat in a moment and making decision with absolute certainty. He exceeds all men in his courage, his thirst for fame, and in his zeal for carrying out the most glorious military deeds. However, he is also capable of hasty acts of violence and of a savagery beyond belief. His reasoning capabilities can be overshadowed by his immense capacity for anger and his lust for glory. He is a terrible enemy and the greatest of all warriors, skilled, strong, brave and clever, but both human and monster. All his qualities have a dark and sinister side, an implacable aspect, a deep well of unexpected fury and despair. The monstrous part is full of rage, and when it erupts, the human part vanishes, and no emotion remains other than a white-hot anger. Achilles has inherited legendary qualities of command and authority from his original, and part of his strength comes from the ability to comfort and inspire his men. A single spoken order, and ten thousand men will follow him into combat unquestioningly. Though he is a tactical genius, Achilles despises all enemy forces equally, convinced that he and his Myrmidons are superior in skill and discipline to any foe. Other officers often hate him for his arrogance, stubbornness, and total inability to accept any way of thinking other than “strength overcomes everything”. Nevertheless, his men worship him as a cruel and terrifying god, considering him immortal and indestructible. This page was last modified on 3 April 2018, at 10:41.